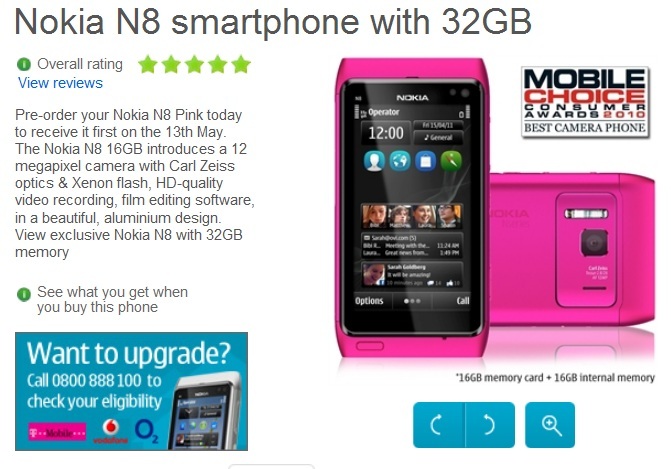 Pre-orders for Pink Nokia N8 32GB with Symbian Anna, receive on May 13th! PR2.0 really Coming soon? 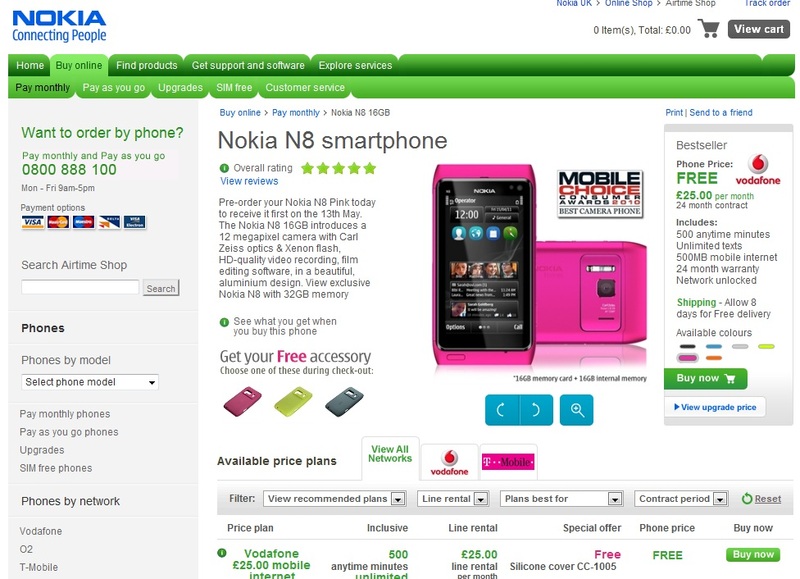 Nokia Direct, one of the official Nokia retailers has posted the preorder of the new Pink Nokia N8. What’s interesting is that the Pink N8 comes with Symbian Anna. The delivery date/availability date would then be on May 13th. So the first Symbian Anna handset will be the Nokia N8 Pink. What does this mean for the update? This suggests availability soon? I hope so since you guys have waited so long for it. The thing is, there’s a 16GB and a 32GB version (via additional 16GB card) available. However, the 32GB version is the SAME PRICE as the 16GB version. FREE, on £25 contract both for 24 months with identical minutes/texts! Why would you not go for 32GB? Cheers to Adnan for the tip! « MyNokiaBlog.com one of the “tech blogs” that Nokia Conversations readers visit!